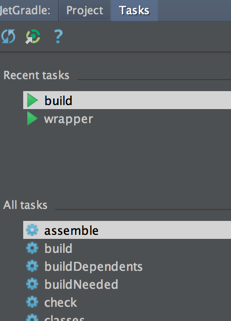 This is the Gradle UI in Intellij 12 : You can see the exact dependencies of each project explicitly. There is separate tab that shows the tasks available for each project and even lists the most recently run tasks. 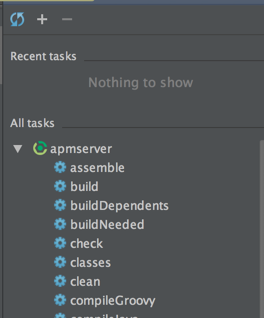 In Intellij 13, all this takes a backward step: Now only a list of tasks is shown. No more tree of dependencies. No more recently used tasks. I dont see why Jetbrains decided to downgrade their Gradle support. 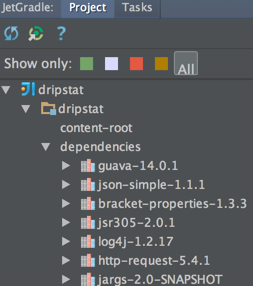 Update: Jetbrains has clarified that the ‘recently used tasks’ does work like in intellij 12.